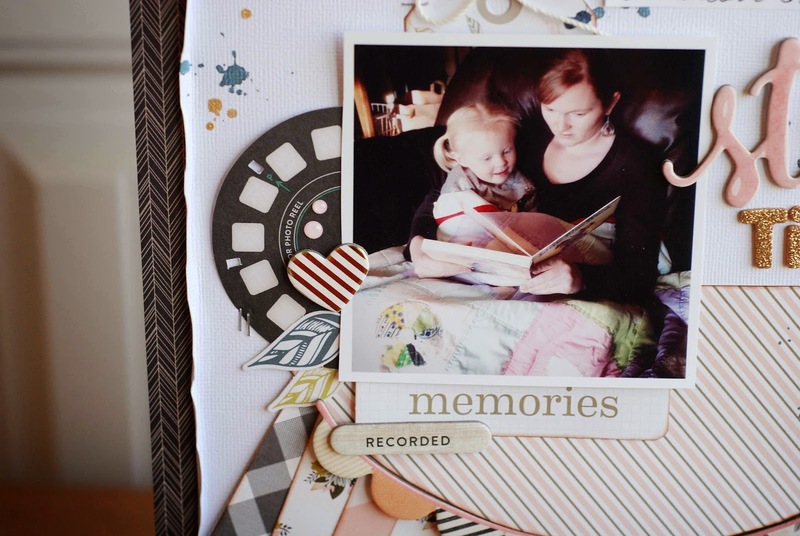 Pinterest has taken the crafty world by storm and that's no different for the scrapbooking world. 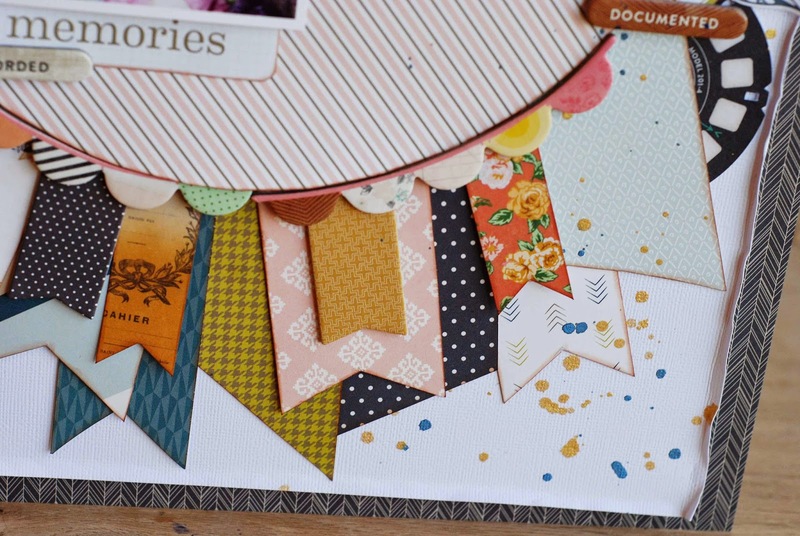 I could spend hours and hours pinning beautiful layouts, mini albums, and cards...oh wait, I do! 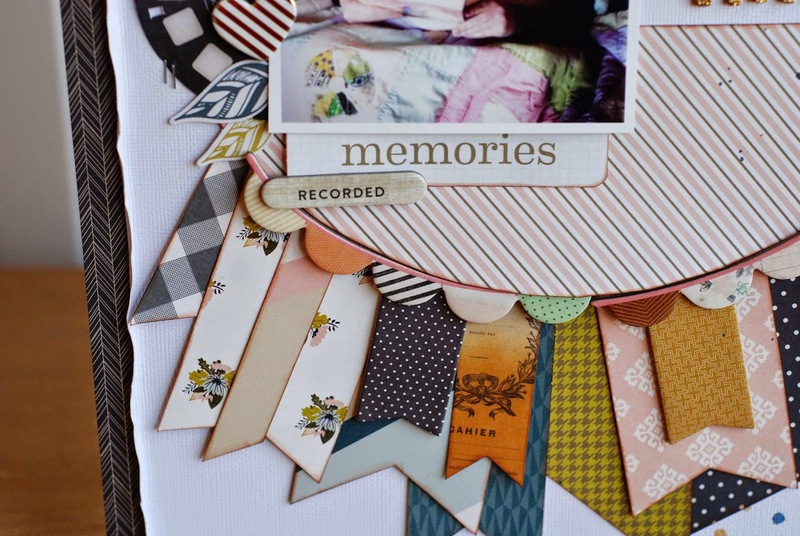 As of today I have 2,021 on my scrapbooking Pinterest board. That number grows almost daily. Pinterest is a great tool for finding and organizing great ideas! It's also a great tool so that you can find out what your preferences/style are. 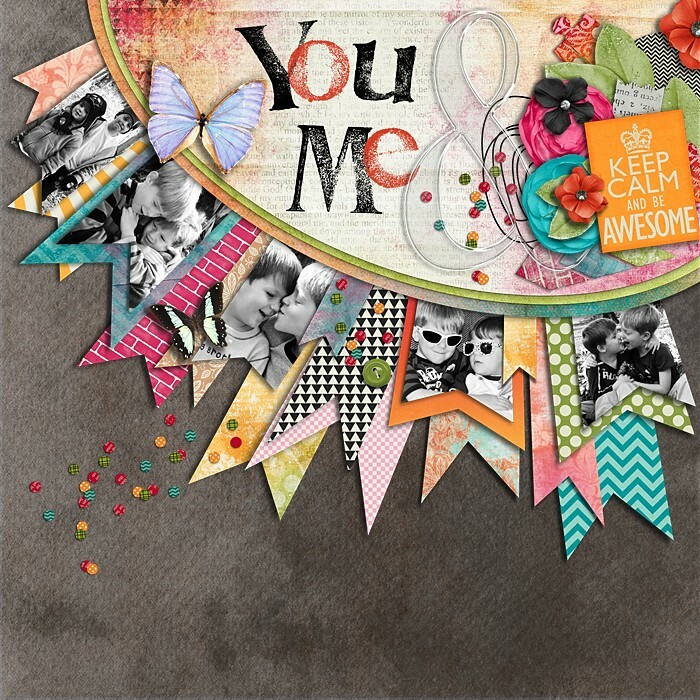 For example if you look back at your Pinterest scrapbooking board and see that 90% of the layouts that you've pinned have a white background, you may want to start your next project with a white background. The same thing can be said for many different things: the number of photos on a page, a color scheme that you see repeatedly, or the placement of embellishments. 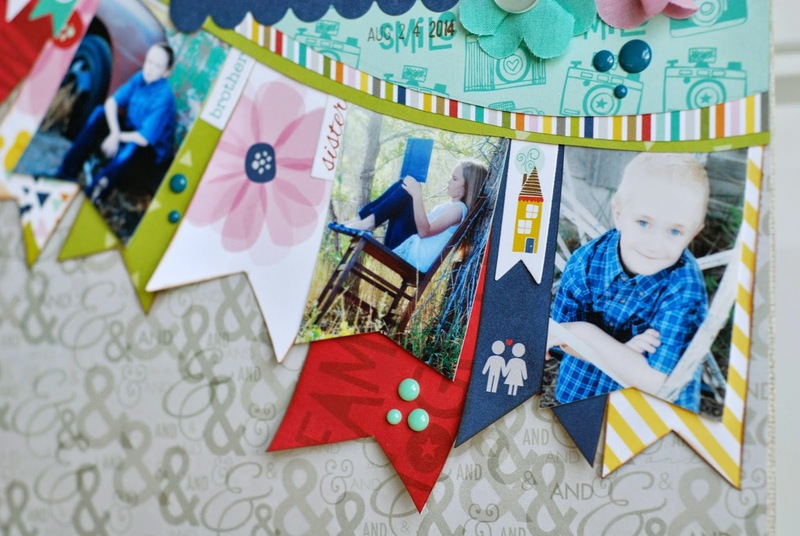 Recently, I was scrolling through my Pinterest board looking at what projects had been repinned the most. I was shocked to find that one of the layouts that I had pinned has been repinned 1,484 times (as of when I'm writing this post). None of my other scrapbooking pins can even come close to that number. 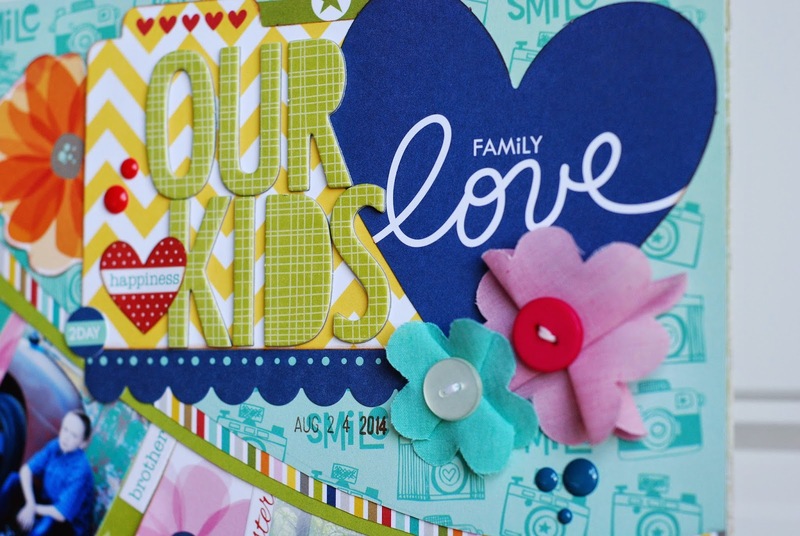 I used the Bella Blvd Family Forever Collection . I adore this collection. I find myself reaching for it all the time. I did a couple of things differently on my project. I added a border sticker toward the bottom of the page. It felt a little more 'balanced' to me with the sticker at the bottom. I also didn't use as many photos on my project. I wanted it to be about my kiddos and I have three kiddos so naturally I have three photos on my layout. 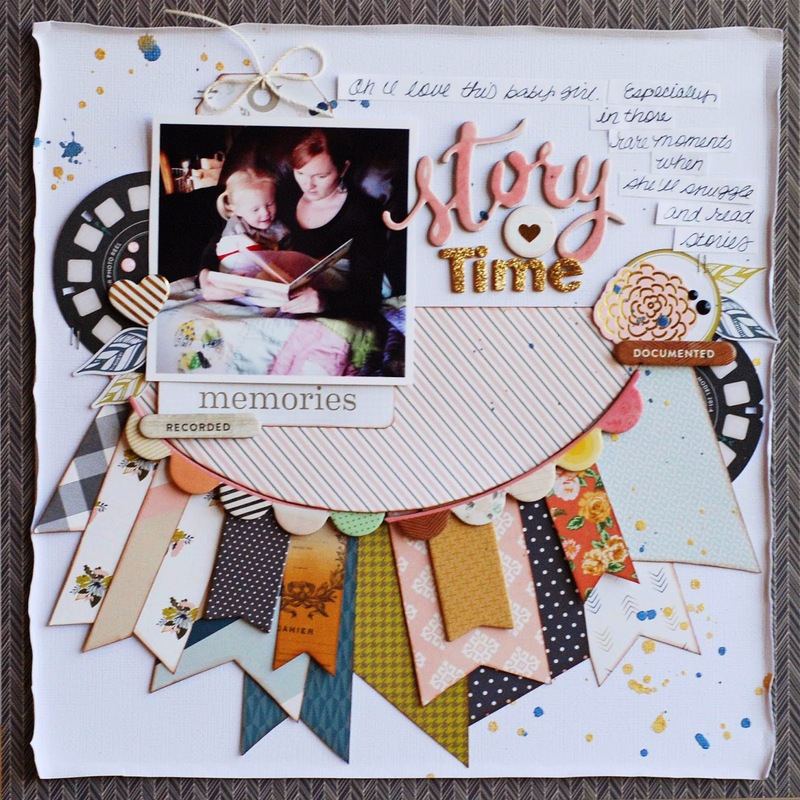 This layout is a combination mainly of 2 collections (Gramercy Road by Gossamer Blue and Crate Paper's Open Book collection). 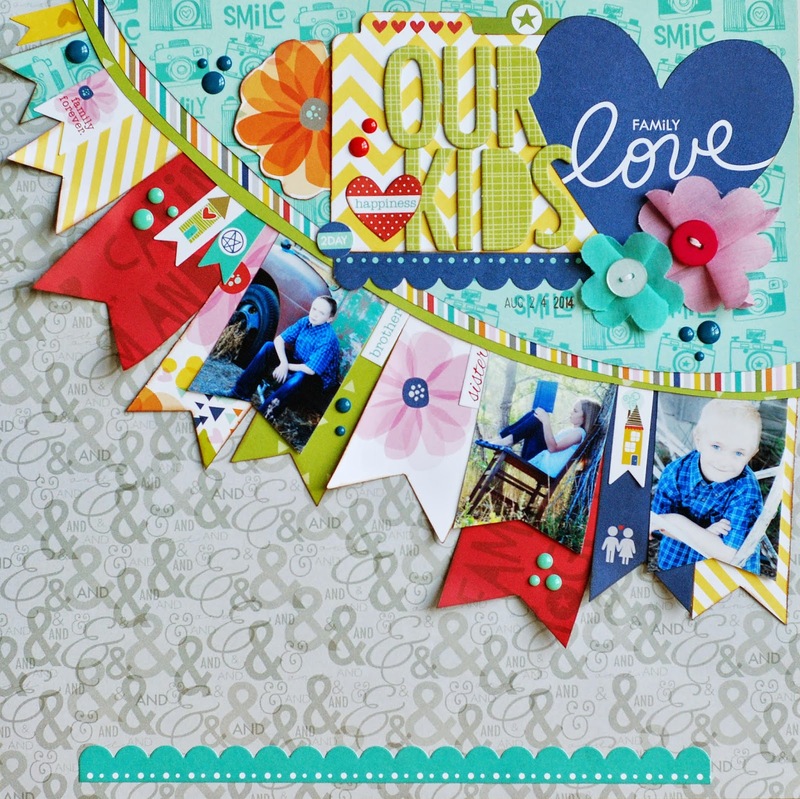 Have you ever scraplifted a layout you found on Pinterest? This is the first time I've done it and I love the results, you should give it a try! I LOVE both of these layouts you made Becki!! STUNNING! These are so beautiful, Becki! Love this idea and gorgeous LOs!! Becki, these are beautiful. 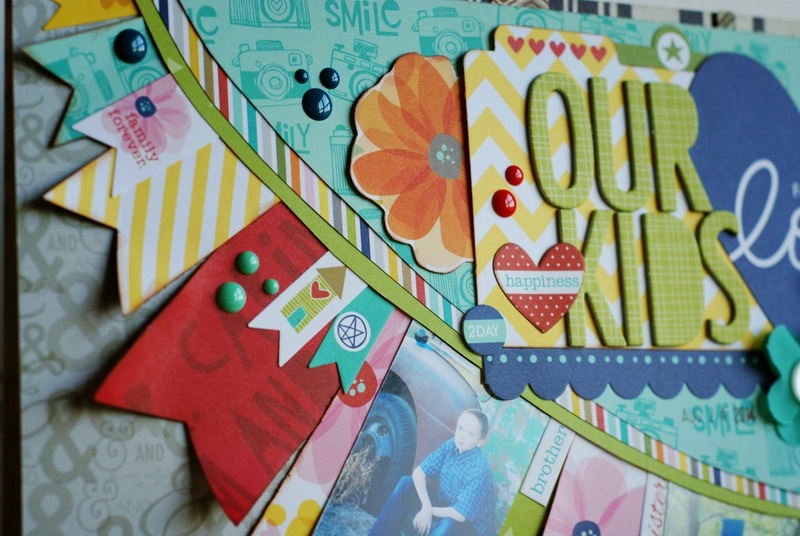 I love your choice of papers and a great way to use up some scraps!